Karen has been a dedicated and loyal volunteer at our Wyoming dining site for the past two years. She spends her mornings on Tuesdays and Thursdays each week with our seniors there, helping to prepare and serve lunch and socialize with the clients. 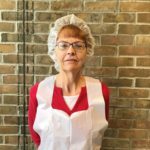 A people person at heart, Karen enjoys the opportunity the interact and socialize with so many different people each day she volunteers at the dining site. Karen was born and raised in Chicago and lived there through high school but moved to Michigan with her family when her father’s company brought him here. She’s now lived in Michigan for over 40 years and has become a true Michigander. Her sisters now live in Chicago but come up to Michigan to visit when they can. At the beginning of her career, Karen went through LPN training and worked at Butterworth in the orthopedic department. After spending some time there, she decided it wasn’t for her and got a job with Farmers Insurance doing clerical work. She moved up the ladder and was the Executive Assistant to the president when she retired after 28 years with the company. Now 5 years retired, Karen has been enjoying her time volunteering, going to estate sales, doing crafts, taking care of her home and going for walks with her dog, a beagle and terrier mix. Robin Price, the dining site coordinator at Wyoming, could not speak more highly of Karen. She appreciates her loyalty and dedication to the mission and serving seniors, as well as her dependability of always being there to help. “I truly do not know what I would do without her,” Robin says. And the feeling is mutual, as Karen describes her experience volunteering as nothing short of fulfilling. When seeking out volunteer opportunities, Karen knew she’d want to be around people and help people directly. 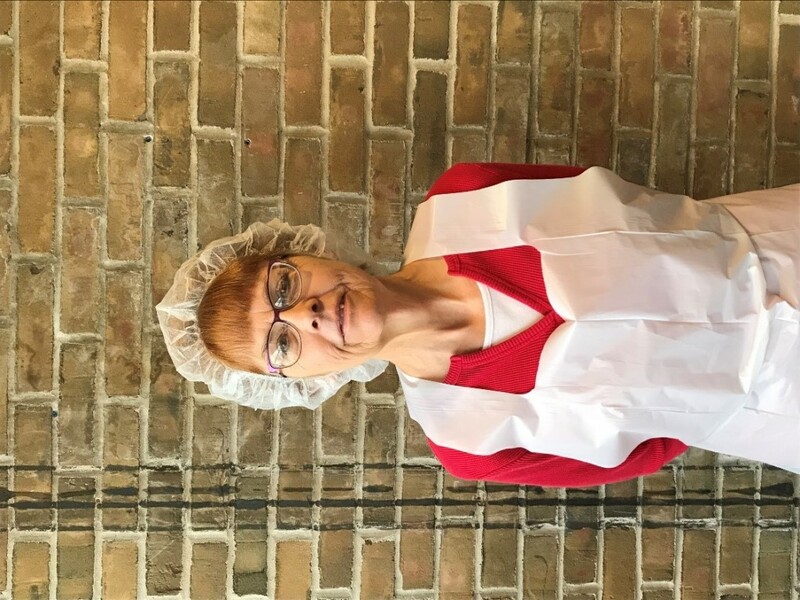 Starting as something to keep her busy, get out of the house and help where it’s needed, volunteering at the dining site has become a social experience, where her favorite part is her daily interactions with the clients. They have all gotten to know each other and keep each other updated on their lives and it’s a nice community to be a part of. We are so thankful for Karen’s commitment to our program and so grateful to have her as a part of our team. We appreciate her, and others like her who give so generously of their time to reach homebound seniors in our community. Thank you, Karen!